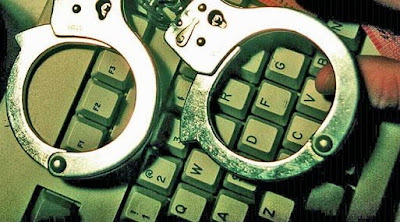 FRAMINGHAM, USA -- Hoping to catch cybercrooks, the FBI has begun embedding agents with law enforcement agencies in Estonia, Ukraine and the Netherlands. Over the past few months, the agents have begun working with local police to help crack tough international cybercrime investigations, said Jeffrey Troy, chief of the FBI's cyber division, in an interview. Because virtually all cybercrime crosses international borders, this type of cooperation is crucial, experts say. The embedding was inspired by a successful operation in Romania, begun in 2006, that led to nearly 100 arrests. "We looked at that and said, 'Where else can we do this?' " Troy noted. Security analysts say Ukraine is home to numerous online scammers, including the creators of the Zeus Trojan malware that can empty bank accounts. "Ukraine's a huge problem," said Paul Ferguson, a researcher at security firm Trend Micro Inc. "I would rank it above Russia right now."